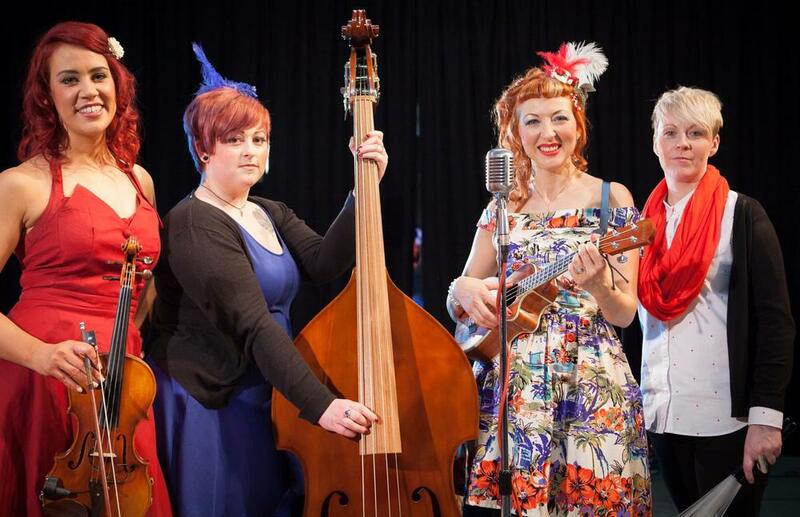 ViX (formerly of Fuzzbox) and her scrumptious new all-female Americana band play original songs from their debut EP “Live at Magic Garden” and some quirky cover versions. Fuzzbox lead singer-songwriter ViX is blasting back onto the scene with new all-girl Americana band “ViX & her MsChiefs”. Fuzzbox came together in 1985 to create their unique interpretation of girl group pop/rock bonanza. The band toured UK, Europe, USA and Far East gaining International success storming the charts with worldwide hits such as “Pink Sunshine” and “International Rescue” appearing on Top Of The Pops, Old Grey Whistle Test and every breakfast TV show available! The band parted company in 1991, until their reunion in 2010, prompted by ViX’s appearance on Never Mind The Buzzcocks. Since then they toured major cities in the UK and celebrated the accolade that they are still, to this day, the UK's most successful all-female playing band!